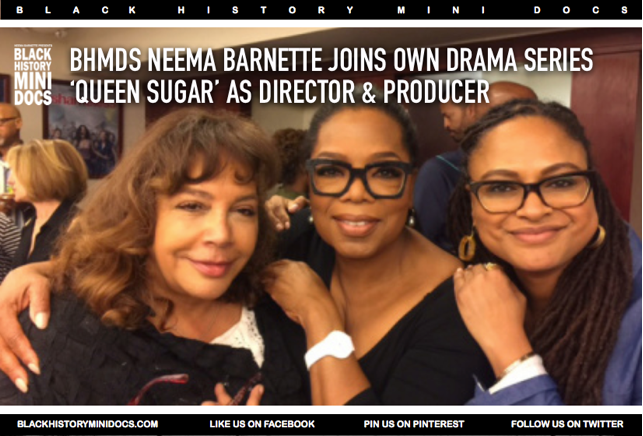 Black History Mini Docs&apos; Neema Barnette has boarded OWN’s new original drama series Queen Sugar, from Ava Duvernay and Warner Horizon Television, as a director and producer. Written, directed and executive produced by Duvernay, the contemporary series is adapted from the debut novel by Natalie Baszile. It centers on Nova Bordelon (Rutina Wesley), a formidable journalist and activist based in New Orleans. Her life, and that of her brother and their extended family, undergoes significant change when her sister, Charley, returns to Louisiana from Los Angeles to help run the family sugarcane farm. Oprah Winfrey will have a recurring role on the show. Barnette recently directed the feature Woman Thou Art Loosed On The 7th Day, starring Pam Grier, Blair Underwood, Nicole Jarbari and Sharon Leal. Barnette most recently directed episodes of BET’s Being Mary Jane last season. The reviews are in, the people have had their say. Everyone is singing Queen Sugars’ praise. Finally, it&apos;s the television show we&apos;ve all been waiting for. OWN’s new original drama series Queen Sugar, from Ava Duvernay and Oprah Winfrey, according to a review in USA Today, is “life, in all its colors.” As you have read on our website a few months back, Duvernay tapped Neema Barnette as producing director for the series’ 13 episodes.